We can be in danger of no longer really understanding the meaning of the Lord's Prayer simply because it is heard and spoken so often. Edgar illustrates the depth of the prayer as he shows it in the original context, and shows what that means for us in our context today and in the future. The Lord's Prayer defines our faith and defines the Biblical worldview. William Edgar is Professor of Apologetics at Westminster Theological Seminary in Philadelphia, and an accomplished jazz pianist. He is married to Barbara and they have two children, William and Deborah. Unpacks the Lord's Prayer in order to teach you your faith and change how you pray. The multi-faceted Word of God never ceases to amaze in its ability to give wisdom and understanding; the Lord's Prayer is no exception. It has always been an important part of the tapestry of a walk with God, yet Dr. William Edgar has opened up new and life changing dimensions of this familiar passage. Approaching this prayer as an "apologetic for the biblical worldview" puts this book in a class by itself. 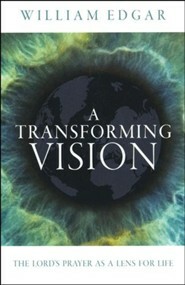 Without a doubt, A Transforming Vision will prove to be a pivotal and treasured book in the life of the church. 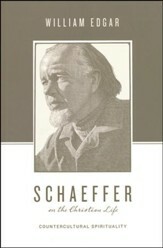 ... Seeking to get behind the over-familiarity of many Christians with the Lord's Prayer, Edgar sets the prayer in its wider biblical context and expounds the prayer as 'An Apologetic for a Biblical World and Life View', as his introduction puts it ... very readable and offers significant help for the Lord's people in understanding the instruction he himself has provided for their praying. A Transforming Vision walks readers through the iconic phrases of the Lord's Prayer, shedding fresh light on how the passage can profoundly shape a believer's walk with God. But Edgar goes further, showing how "this extraordinary prayer is also an apologetic for a biblical worldview." 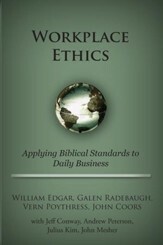 one that offers "a remarkable statement of faith, as it stands opposed to a confused world." 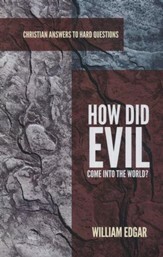 ...explores the depth of the Lord's Prayer in its original context, discusses what it means for today's believer, and shows how this prayer frames the Christian worldview. 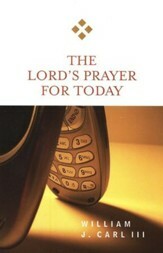 Recommend this title to pastors and laypeople who want to know more about the Lord's Prayer. I'm the author/artist and I want to review A Transforming Vision.